Extra Meals and Tea available and personal toilet in luxurious tents. Opening Hours The camping site though closed for the months during winters for the remainder time is remains open from Morning till Night. People Love For Place Breathtaking and scenic view of the valley. Des It offers breath taking views for sight seeing and a challenging terrain for trekking. Extra 302 km of Cycling across 11 days , accommodation included. People Love For Place Starting from Delhi enjoy the tour in the mighty mountains of Himalayas and enjoy the heavenly atmosphere. Des A Cycling Expedition in one of the most beautiful location of the world will keep one wanting for more. Extra Melas, Accommodation, Transportation and various activities included. Des Enroll for a long trip to Lahaul Spiti to delve into a serene landscape and relax with the caring of an awesome atmosphere. People Love For Place The perfect adventure experience for enthusiasts as it takes you on a journey like never before. Des Experience the challenging landscape and breathtaking terrains of the Himalayas. Address Spiti valley,Spiti, Himachal Pradesh. People Love For Place Enjoy the white waters of the valley and chilled evenings. Des A beautiful rafting trip to enjoy the stunning landscape from the river rather than the road. Opening Hours As per your reservations. People Love For Place Enjoy the lush Green scenery and mysterious mountain by roads. A perfect off-road experience. Des A perfect tour of Spiti Valley and it's real beauty on wheels. Extra Melas, Accommodation, Transportation and various activities and experienced guides are included. 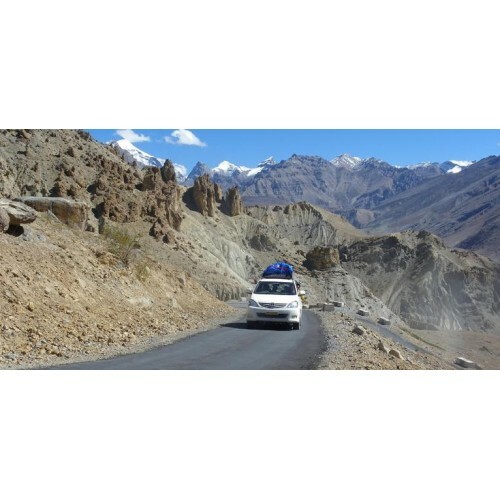 People Love For Place A long tour encompassing entire Lahaul-Spiti and it's fine beauty. Des This five day short trek that goes through the thick forests and green meadows. Address Hampta Pass, Spiti, Himachal Pradesh. Extra Meals, Accommodation, Experienced guide, and various activities included. Opening Hours Booking open from Morning to Evening. People Love For Place The views one get during this trek are very heavy like and dreamy. Suitable for all type of trekkers. Des Hampta Pass trek is giving each adventure lover an option to discover the unique landscape on the Manali side in Himachal Pradesh.